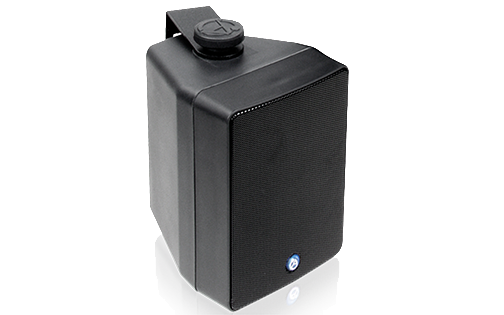 The Datasat AP20 is the product of years of innovation and experience in delivering digital sound for cinema. It delivers the precise reproduction of both digital and analog sources. It is the professional solution that is developed by sound engineers for sound engineers. 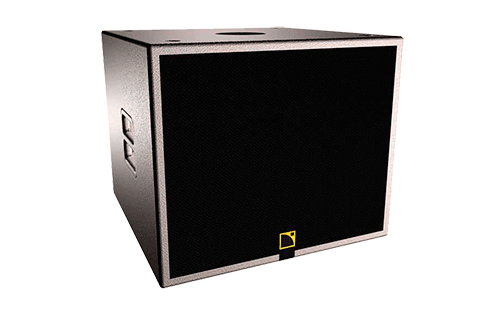 The AP20 offers an outstanding array of features in a single box. With 16 channels of digital and analog inputs and outputs, it delivers an impressive total of 85 input options and 34 output options – almost double its nearest competitors. The result is that the AP20 is one of the few audio processors capable of 3D audio today. Its market leading features include unique room optimization technology, granular sound control and a comprehensive range of memory pre-sets to facilitate room tuning and the optimum playback of alternative content. 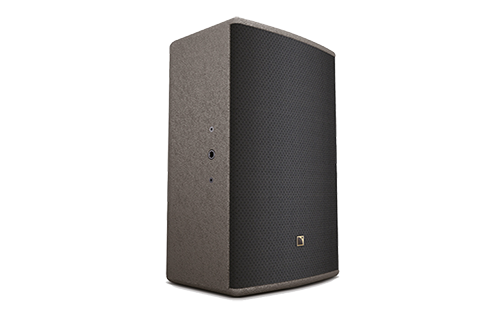 The AP20 delivers a true-to-source sound stage with unbeatable voice intelligibility and crystal clear musical score and effects reproduction. An 8 channel version of the AP20 is available for cinema exhibitors that have less demanding requirements but still demand outstanding sound quality. An easy upgrade path is available to the full AP20 product. 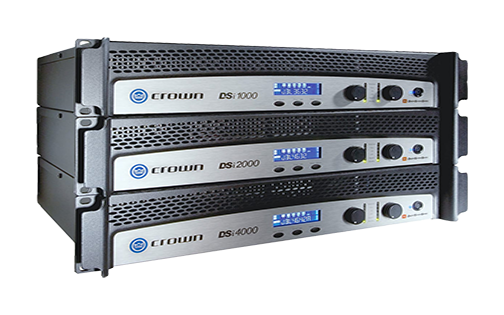 The Datasat AP20 is an extremely comprehensive digital signal processing (DSP) solution for cinema with an outstanding range of features available in a single chassis. With 16 channels of digital audio available as standard, the AP20 leverages the power of six Analog Devices 400MHz DSPs. 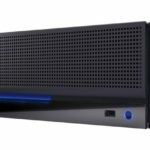 In addition, it includes one S/PDIF, two TOSLINK and four HDMI 1.3 inputs with Blu-ray decoding to provide the ability to handle widest range of professional and consumer content. Its channel support allows the AP20 to accommodate the standard 5.1 digital surround up to and beyond the 11.1 and 13.1 sound formats required for the next generation of 3D audio. 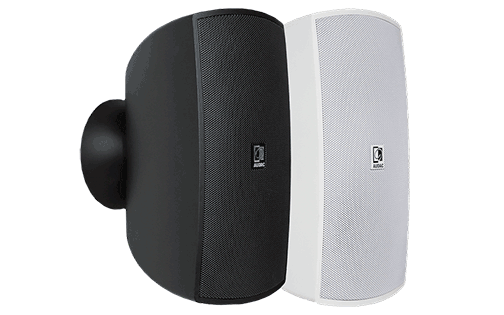 The AP20 comes with 31 bands of third octave and three bands of parametric equalization on every channel. In all, the AP20 delivers 512 individual equalization bands. In addition, each channel includes low, high and bandpass filters as well as individual treble and bass controls to deliver a stunning clarity of sound. The AP20 takes advantage of Datasat's exclusive licensing of Dirac Live room optimization technology for the cinema industry. 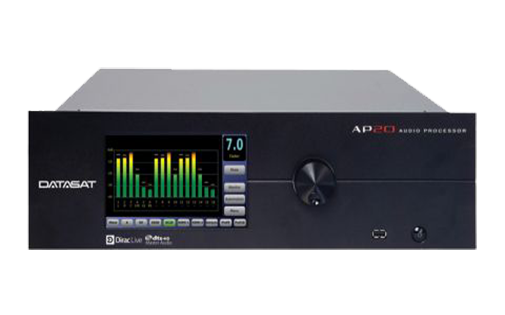 This makes the AP20 the only cinema audio processor to include true working mixed-phase correction. In addition to impulse response optimization, you receive advanced tools to correct issues in both the time and frequency domains including magnitude response correction, early reflection reduction and bass management. The advanced room optimization technologies in the AP20 combined with its audio equalization and audio delay capabilities allow you to deliver a sound stage that is transparent and true-to-source. 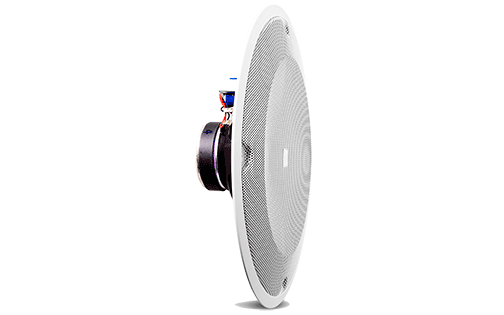 Regardless of room design or speaker arrangement, you're able to tune the listening environment to provide the optimum experience whatever content type is being played. Every facet of a properly tuned room is captured and stored. The room can be tuned to optimize different content types. The memory presets can then be used to switch quickly between set-ups as the content changes without having to re-tune the room. In addition, all presets can be saved to a USB memory stick. This provides security in case of failure but also allows for the rapid tuning of new rooms. In new cinema construction where all rooms are designed to be identical, you an use one audio processor to tune the initial room, save this to the memory presets on the USB stick and tuning the next room becomes as easy as downloading the memory presets onto that room's processor. The AP20 presents you with a number of features to make management flexible and convenient. In addition to a range of wireless remote control options – including smartphone, tablet and laptop support – the system includes Ethernet and RS232 connects with up to 20 user-defined set-up and operational profiles.